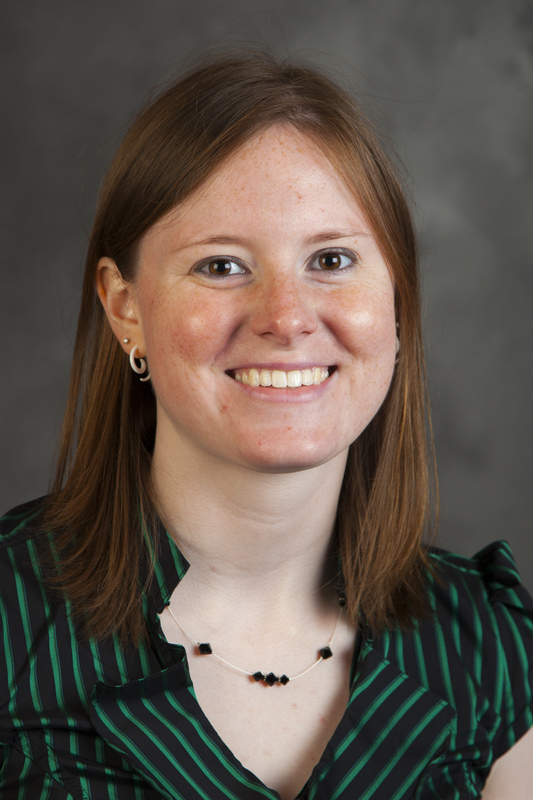 I am a graduate student in the Department of Planetary Sciences at the University of Arizona and I study ice under the surface of Mars. 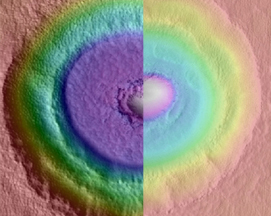 The structure of Martian impact craters, it turns out, can tell us much about what's going on underground. I am using impact crater measurements to learn more about this Texas-size layer of ice under Arcadia Planitia. I am also studying the radar signals that bounce off the ice and go back to the Mars Reconnaissance Orbiter (MRO) spacecraft's SHARAD (Shallow Radar) instrument. The radar measurements are telling us about the composition of the ice. Craters that form where there are layers in the subsurface have terraces within their walls, rather than being simple bowl shapes. This is because the shock wave generated by the impact moves differently through the different materials, leaving a terrace at the boundary between two layers. Many of the craters I see in Arcadia Planitia have two terraces: a wide "floor terrace" at the bottom where the ice meets the underlying rock, and a smaller "wall" terrace which likely indicates layering within the ice. This double-terraced structure gives the craters a concentric, "bullseye" look to them. 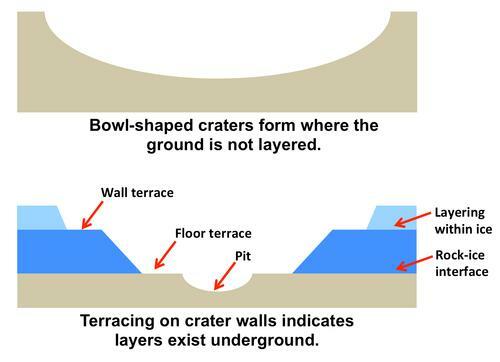 Examples of crater profiles for a subsurface without (top) and with (bottom) layers.